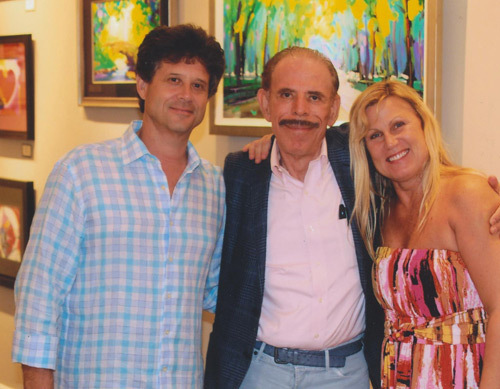 The legendary Peter Max returned to a legion of fans when he visited Ocean Galleries in Stone Harbor over Labor Day weekend, bringing with him a collection of new original paintings, created especially for the show, along with the iconic imagery that has made him a world-renowned legend. The exhibition opened on Thursday, August 29th and ran through Sunday, September 8th, with Peter Max at receptions signing purchased artwork on Saturday, August 31st and Sunday, September 1st. Max remains an iconic, multi-dimensional artist whose signature vibrant colors have become part of the fabric of contemporary culture. 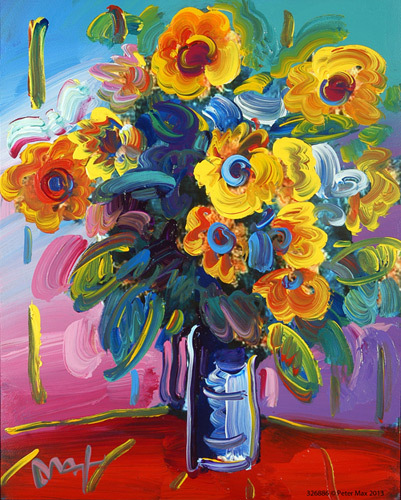 With his long-standing career as the preeminent Pop artist in America, Max has been successively called a Pop Icon, Neo Fauvist, Abstract Expressionist, and the United States’ “Painter Laureate”. Millions of loyal fans celebrate Max’s art, which has appeared in one-man museum exhibitions around the world and collections of numerous celebrities and political dignitaries. Peter Max just completed portraits of Taylor Swift for her Web site and tour. It is the second series he has created for her; the first one sold out. 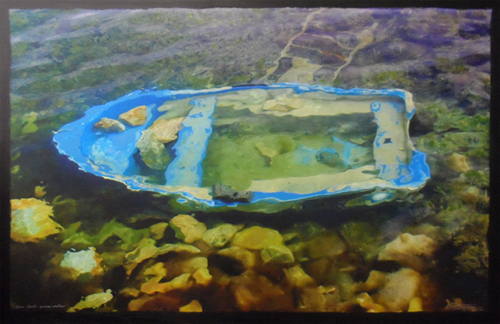 He also recently painted the hull of the “Breakaway” Norwegian Cruise Lines newest ship. Upcoming projects include a book for Harper Collins. Ocean Galleries (Stone Harbor, NJ) hosted an extraordinary collection of rare artwork by two iconic Master artists of the twentieth century: Salvador Dalí and Joan Miró. Poetic Visions: Dalí and Miró, featured the works of the great Spanish Masters, took place at Ocean Galleries (Stone Harbor) from Thursday, March 28 through Saturday, April 6, 2013, with special receptions in celebration of the artwork on Friday, March 29, Saturday, March 30, Friday, April 5, and Saturday, April 6. The exhibition included graphic works, lithographs, etchings, sculptures, and other works of art by the featured Spanish artists. Although Dalí, the consummate showman, and the shy Miró differed in their approaches to Surrealism, both emerged from the turbulent political decades leading up to the Spanish Civil War and the equally changing art world of Barcelona Josep Dalmau gave both their first solo exhibitions at Galerie Dalmau Barcelona and assisted in their eventual moves beyond Catalunya. Both formulated and articulated their ideas on art, Surrealism, and culture in words and images. 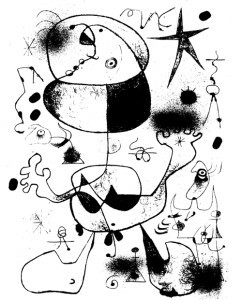 In the early Catalan art publications for L’Amic des les Art (The Friend of the Arts), both Miró and Dalí contributed illustrations. The relationship of art, thought, and the written word continued to be expressed by both throughout their careers. As a kick off for the summer season, Ocean Galleries hosted a collection of Impressionism artwork over Memorial Day weekend featuring the artwork of Alexandre Renoir, the great grandson of Pierre-Auguste Renoir, along with select works by his brother,Emmanuel Renoir, and the museum Master himself, Pierre-Auguste Renoir. “Renoir: A Legacy” opened at Stone Harbor’s premiere art gallery on Thursday, May 23 and ran through Sunday, June 2, 2013. 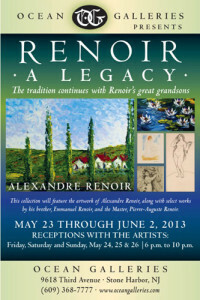 There were receptions with Alexandre Renoir and Emmanuel Renoir on Friday, May 24, Saturday, May 25, and Sunday, May 26. 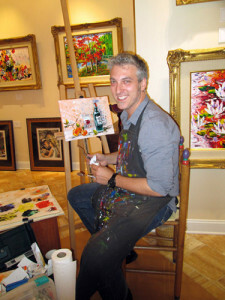 Guests enjoyed a special treat as Alexandre Renoir shared his artistic talents, painting during the receptions. Additionally, both Alexandre and Emmanuel provided curatorial lectures and insight into the fine collection of paintings and shriving vignette of intimate insights of the Renoir family. One of the most important forms of visual expression for the past 150 years, Impressionism reigns supreme; the unquestioned Master, Pierre-Auguste Renoir, was a leader in development of Impressionism. 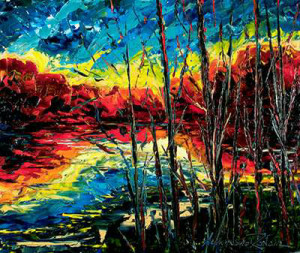 His distinct approach to capturing color and light is evident in his art that celebrates beauty in all things. The Renoir: A Legacy exhibition included original paintings, graphic works, and etchings by the featured artists. An impressive collection of original artwork by child prodigy Autumn de Forest was on exhibition and available for acquisition at Ocean Galleries in Stone Harbor, New Jersey July 4-14, 2013. The Prodigy Returns: A New Collection of Artwork by Autumn de Forest exhibition included approximately 50 pieces of her extraordinary art. Guests were invited to meet Autumn during three appearances: Friday, July 5th, Saturday, July 6th, and Sunday, July 7th. 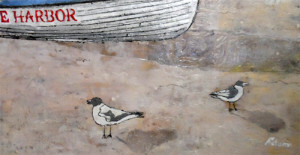 Autumn de Forest held her first solo exhibition at the Stone Harbor gallery last summer. The multi-talented artist is certainly creating a name for herself in the art world. At the young age of 11, the child prodigy has commissioned six-figure works of art and has garnered national and international acclaim for her colorful tributes to Marilyn Monroe. Her artistic style has been compared to iconic abstract painters including Andy Warhol, Jackson Pollock, and Pablo Picasso. Autumn de Forest’s collectors have acquired all works offered and presented at her exhibitions. Quite an extraordinary accomplishment for this young prodigy. Beginning at a very early age, Autumn has been featured in the national and international press; recognized as an extraordinary talent; a skilled and passionate artist, a young humanitarian, and a young girl with an unbridled passion to create. The exhibition at Ocean Galleries featured a collection of all new artwork, many of which were created specifically for the show. 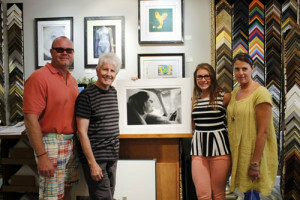 Graham Nash made his indelible mark as a music legend, but Summer 2012, the founding member of The Hollies and Crosby, Stills & Nash offered a glimpse at another artistic passion, debuting his never before seen artwork at Ocean Galleries in Stone Harbor, NJ. Graham Nash returned with his art exhibition, Graham Nash: Visual Harmony, from Thursday, July 25th through Sunday, August 4th. 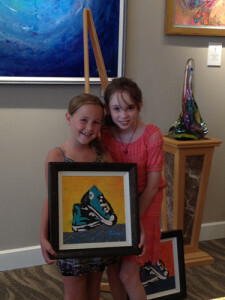 Nash was at the gallery to sign purchased artwork on Saturday, July 27th. 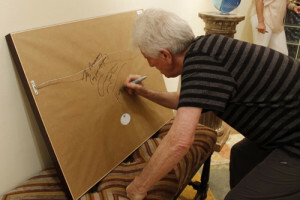 Graham Nash describes his artwork as the manifestation of his love for music and art over the past 50 years. There are a variety of techniques used in his artwork, many of them a natural evolution of his experimentation with photography. 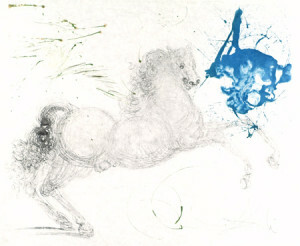 Several of his pieces incorporate block print or newsprint, mixed with photography, each piece more unique than the next. The artist’s story behind each distinctive piece of art is arguably as special as the artwork itself. The exhibition included Graham Nash’s exquisite paintings, pastels, and artistically enhanced photographs.